Almost 24 hours since we left Manila, my friends and I finally arrived at our temporary abode in Kalinga. The road that we traveled to get to Kalinga definitely wasn’t easy but the experience was incredible. How to go to Kalinga? Our road adventure to get to this destination was remarkable. Despite of the long hours and winding and multiple bus and jeepney rides and some little mishaps that we encountered on the road, that didn’t undermine our interest about Kalinga. As what travelers say, charged it to experience. How to go to Kalinga? 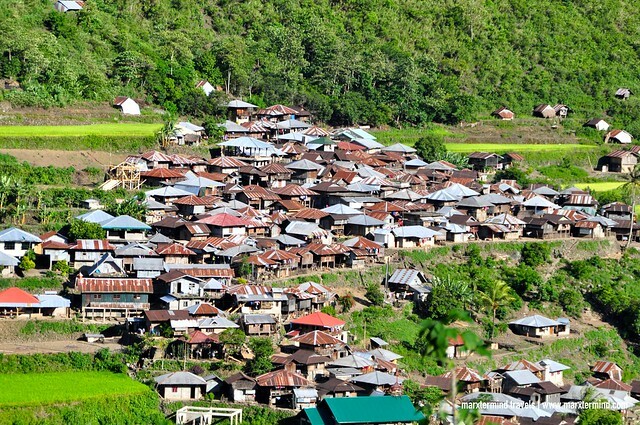 Kalinga is a province in Cordillera Region in Luzon. Travel time to get to this province normally takes about 16 to 20 hours from Manila depending on the route. 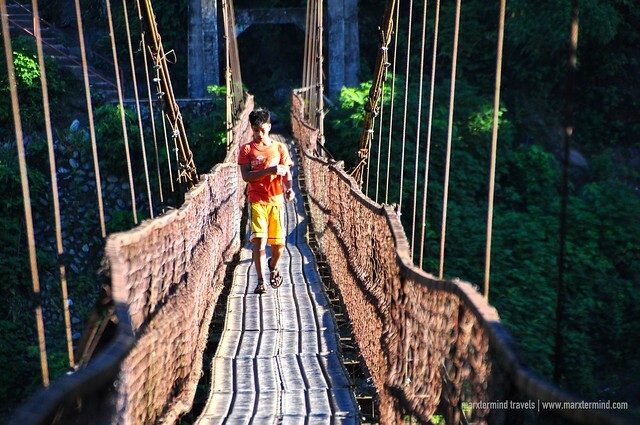 There are four routes to choose, via Baguio, Bontoc, Tuguegarao or Tabuk. The latter is the most convenient. Because we weren’t able to purchase bus tickets to Tabuk ahead of time and buses to Bontoc were few and lining up for chance passenger for buses to Tuguegarao was terrible, we were left with taking the Baguio route. We rode a Baguio-bound bus (PHP 450) at Genesis Terminal in Pasay. The bus left at around 11:00 PM and arrived in Baguio at around 5:00 AM. We quickly went to Dangwa Terminal to catch the first GL Lizaro Bontoc-bound bus (PHP 220). The queue for bus tickets in Dangwa was already piling up when we arrived but fortunately, we were able to score seats for the 7:00 AM trip. It was past 12:00 PM when we were able to arrive in Bontoc. In Bontoc, we asked around for the jeepney that goes to Tinglayan. We approached a police officer and he directed us to a side of the road that is about 5 minutes walk away. There we found a jeepney parked in the corner. We informed the driver that we would be heading to Tinglayan. He told us to wait because the jeepney was only bound to Buscalan and the jeepney that normally goes to Tinglayan wasn’t in sight yet. With no trace that another jeepney would be going to Kalinga that day, we were asked to board the Buscalan-bound jeepney (PHP 100). The jeepney driver told us that they would be taking us to Tinglayan after they drop off other passengers in Buscalan. The road to Kalinga is scenic. I regretted that I seated inside the jeepney. 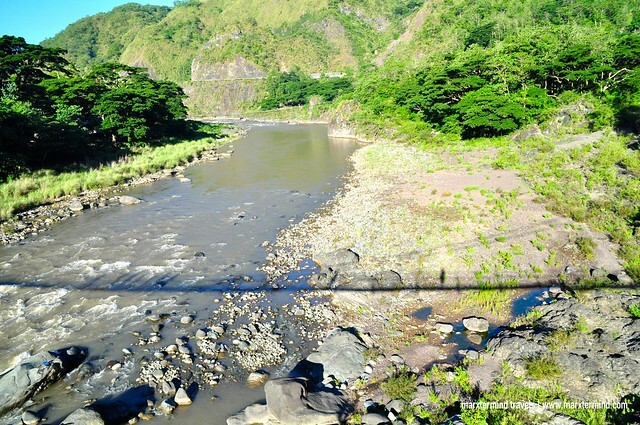 It could have been a perfect ride if I saw the majestic scenery of Chico River and the mountain ranges in an open view. 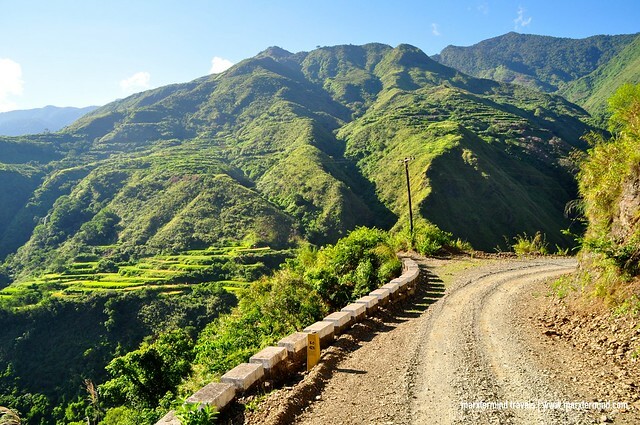 After an hour driving through the jagged cliff side roads of Bontoc-Tabuk National Road, the jeepney tires suddenly broke down. We waited for almost an hour until another jeepney came into the rescue. We transferred to the other jeepney. Because it was already mid-afternoon and the sun was bearable already, my buddy and I decided to top load. Now, that was exciting! Riding the jeepney on top load was scary at some points. #YOLO, eh! Sometimes we felt that the jeepney would tilt as if it was about to fall at the cliff. But, I guess that was the exciting part or… maybe not. Nonetheless, the sight while on top load was refreshing. The view we had along the road was unbelievable and very scenic. I could say it’s the best way to travel to Kalinga. We’ve got the best spot to view the grand surroundings that this province is made of. We were dropped off at the town of Mar-O together with some other passengers who were also heading to Tinglayan. 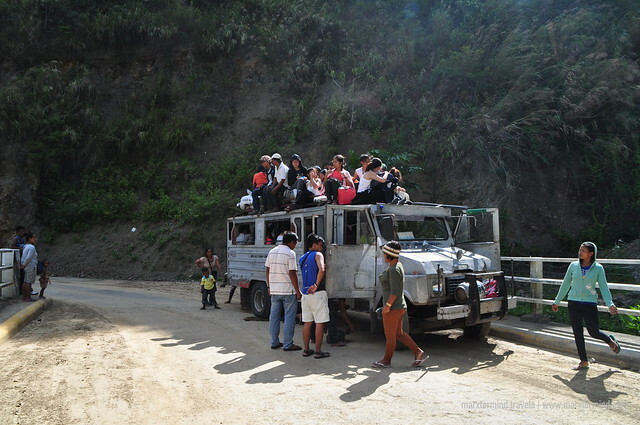 The driver told us to wait for the meantime because the jeepney needed to drop off passengers near Buscalan. 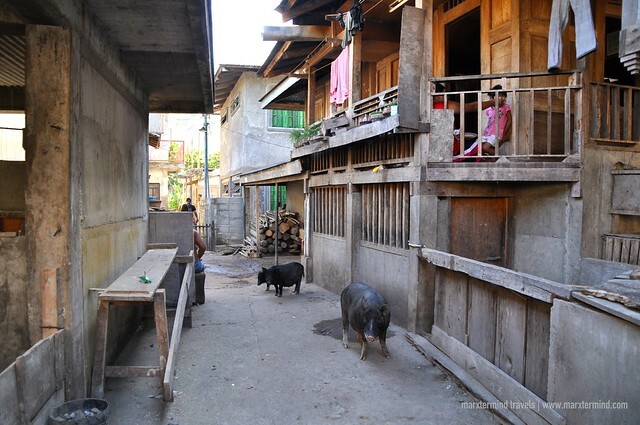 In the town of Mar-O, we had our first glimpse of how Kalinga community is. We acquainted ourselves with the locals. We made ourselves busy by socializing with the people and watching native pigs and kids play around. It’s quite interesting that native pigs are more plenty than any other animals that were freely roaming around. 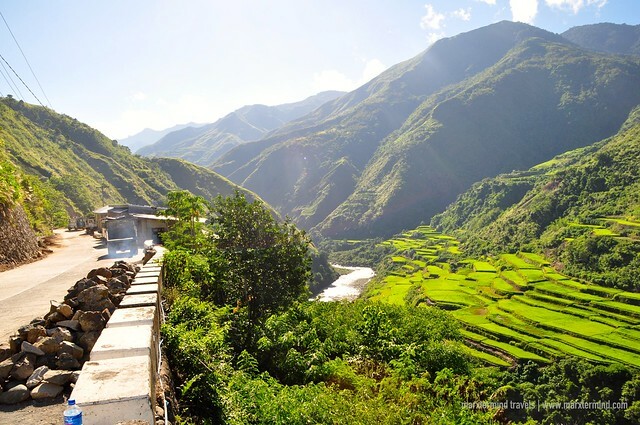 The town also has one of the great viewpoints wherein you can have a scenic view of the mountains and rice terraces. We were also able to see Bugnay Village from the main road. If we only knew that our jeepney wouldn’t be coming back sooner, we could have gone to that nearby village and perhaps see what life seems like in that village. One locals came back to the town and told all of us that the jeepney had another broken tire. We realized that we still would be waiting for more hours before the jeepney to arrive; hence, we went to the nearby store and bought some canned goods and biscuits to eat. We were already famished. We weren’t able to have a decent lunch when we were in Bontoc. It was already dark when a jeepney came in. It was a different jeepney but this would also take us to our destination. We boarded the vehicle and left the town of Mar-o that served us our temporary shelter for almost four hours. Thirty minutes after, one of the locals called our attention and pointed to us the village of Luplupa. “Finally!” I’ve told myself. We were on the road for almost 24 hours, what we wanted to do was to get to our transient, put down our bags, have a decent meal and lay to our beds to have a rest. But before those things happened, we endured a quite of a long walk from the main road first because our transient is located at the heart of the village. 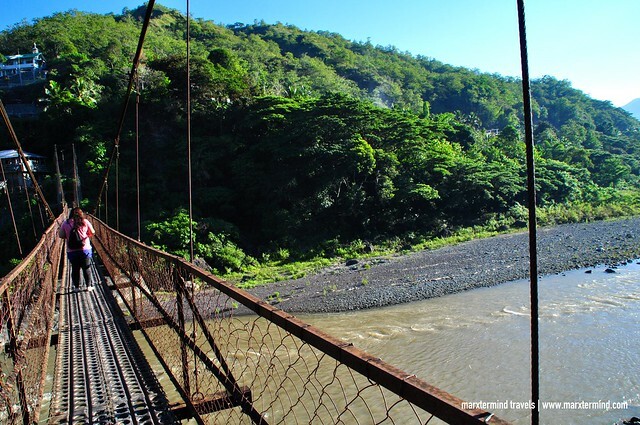 The way to the town of Luplupa from the main road is by crossing the hanging steel bridge. Crossing the hanging bridge under a dark sky was a little struggle yet exciting because we couldn’t see obviously what’s below us – and if there’s someone (or maybe something) coming towards us. We could only hear the raging river. The only light that guided us along the way was our flashlight from our mobile phones. The nearest light post was at the end of the bridge. 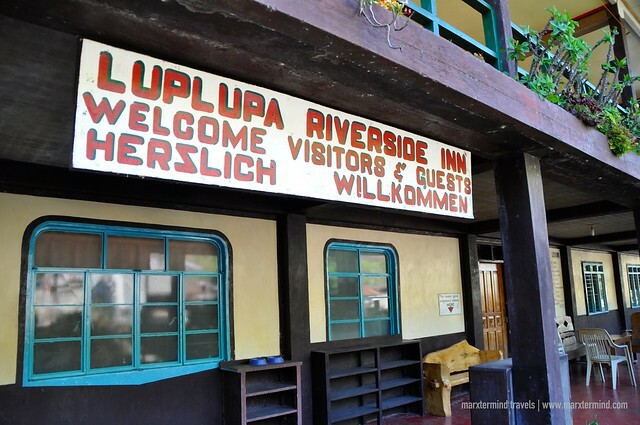 Luplupa Riverside Inn was our humble abode while we were in Kalinga. Rate per night costs PHP 300 per person. Mang Johnny, the caretaker of the guesthouse welcomed us. He was with Kuya Moises who will be our guide for our next day’s activities. The guesthouse was our home for two nights. They also took care of all our meals while we were in the village. A meal costs PHP 100 per person, which was served a la home stay. While the staff of the guesthouse prepared our dinner, we had a chat first with Mang Johnny and Kuya Moises about the province. It was also then that we discussed about our plan for the next day. Since we would be only having a full day to get around, with the use of the map painted in one of the walls of the guesthouse, we meticulously plotted our route. I didn’t know that there are so many places to explore in Tinglayan alone. Each village sounded interesting to get to. We wanted to visit several places but we were constrained with time. 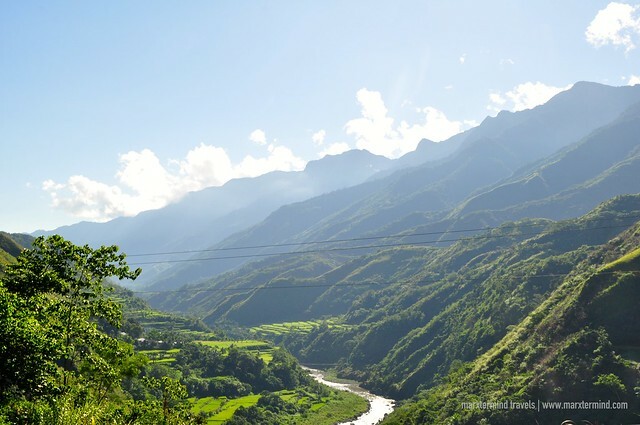 After some debates, we all had agreed to visit three villages; namely, Buscalan, Loccong and Butbut Proper. It was on our following days that we were able to see Luplupa in broad daylight. It could have been better if we were able to have more time to get around the village. Seeing the hanging bridge during daytime made me shiver with excitement. How fun it was to walk across the hanging bridge! This connects the village of Luplupa to the rest of Kalinga. Here, we were also able to see the great Chico River. 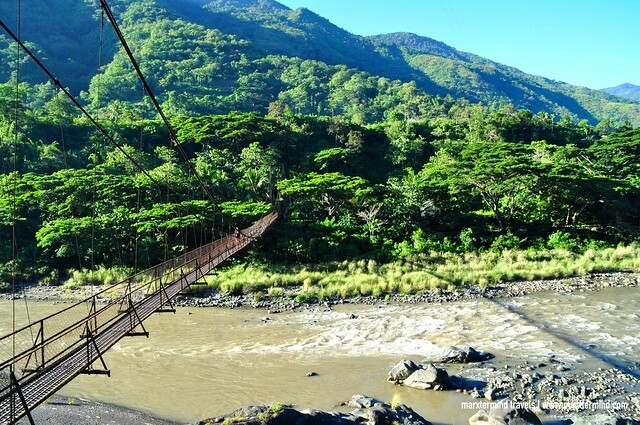 The view of the hanging bridge, the river and the mountain range was a refreshing sight to start our hike. It was a great scene that made us even more excited to explore the villages of Tinglayan.